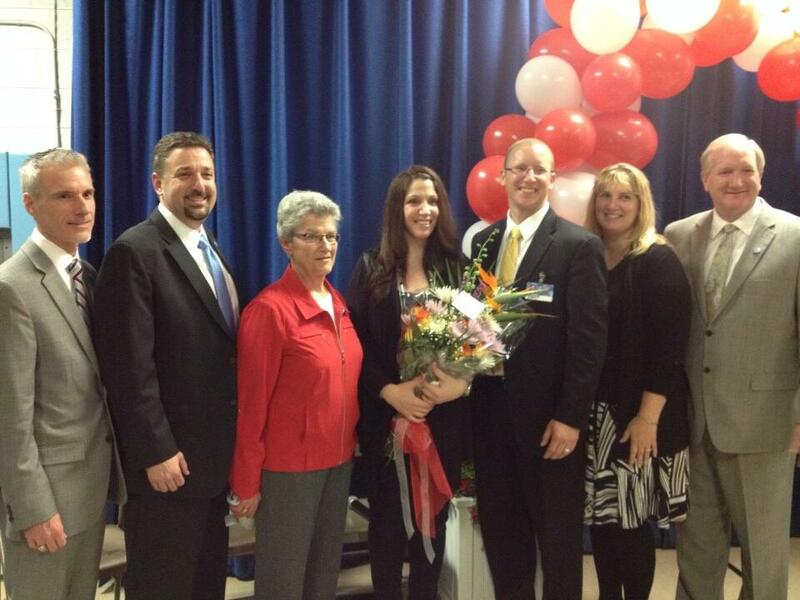 The 2014-2015 Michigan Teacher of the Year Is @MelodyArabo! 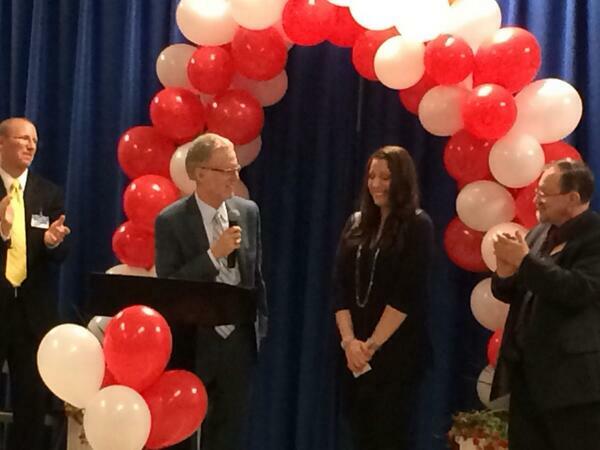 | Gary G. Abud, Jr.
Walled Lake Schools’ Melody Arabo was named 2014-15 Michigan Teacher of the Year (MTOY) yesterday during a school visit from State Superintendent Mike Flanagan. Arabo, a third grade teacher at Keith Elementary School with 12 years of classroom experience, was selected from 238 applicants statewide. Flanagan noted that Arabo will carry on the valued tradition of Michigan Teachers of the Year who have shared their teaching knowledge, expertise, and skills with educators across the state. When she first started college, Arabo was in a marketing program. At that time, she also took an opportunity to become a paraprofessional at a local elementary school, using her Chaldean language skills to work with English language learners. Through this she began to recognize a sense of purpose and belonging. The more she worked with students, the more she realized what a difference she could make. By the end of the first month, she had switched her major to Elementary Education. An alumna of the Galileo Leadership Academy, Arabo, currently is one of five Michigan teachers who were selected for the NEA-sponsored Master Teacher Project, an elite national program where 96 of the nation’s best teachers share their best practices to other teachers. The Michigan Department of Education has used this award annually to honor Michigan’s exemplary educators. The State Board of Education honors the Michigan Teacher of the Year with a seat at the Board table during its regular monthly meetings, and to engage in the discussions on moving Michigan’s system of education forward. The Michigan Teacher of the Year is selected by a committee that reviews applications from teachers throughout Michigan. Applicants submit biographies, curricula vitae, a portfolio representing their teaching work, and written essays that describe emerging education trends and issues.